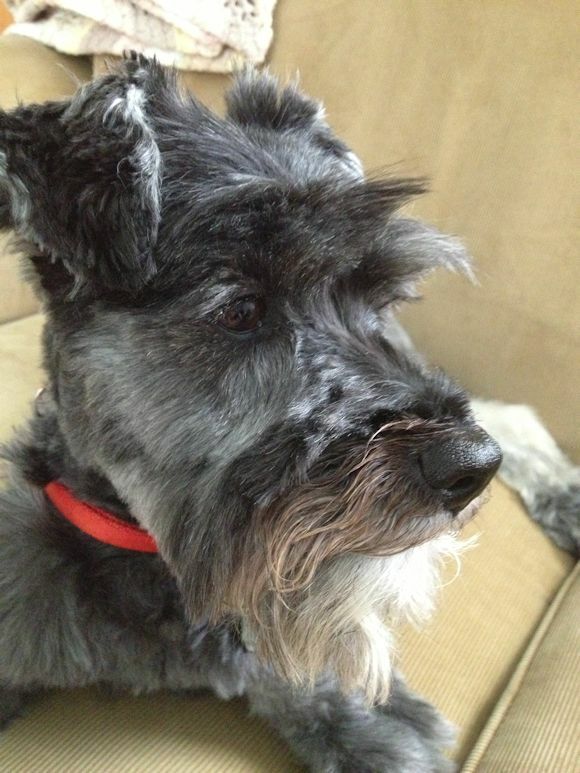 -Frodo after a beauty session with the groomer-so handsome! ...had to chuckle at your little voice- heard that one a few times my self. Sounds like a really nice and soothing weekend Karen- who knows it might just transfer into a the week ahead. Frodo looks extremely handsome and you can tell from his expression that he knows it! Don't even think you won't have enough yarn, of course you have more than enough so no worries on this beautiful Monday morning. HI, Frodo!!! You handsome dog, you!!! Sounds like a great weekend, Karen! Happy reclaiming of your space!! I know you hate to see them leave....but that's exactly what we bring them into the world to do. Look at that handsome boy! We had a great weekend. It was too darn short though! Look at you Frodo, so handsome :) I have this feeling there is just enough yarn. Frodo is so handsome!!! And boy does he know it too! Thinking happy thoughts on the yarn....you'll have just enough I'm sure! oh that blasted voice. shush! knit on, sister, knit on. there will be enough yarn! wow...sounds good. I could use a weekend to fit in a total house cleaning and de-clutter! Hopefully this coming weekend. It always makes me smile to see Frodo pop up on my sidebar!! He IS a handsome guy with his new cut! Your house sounds lovely full of order and calm. It's such a good feeling. Perfect for sitting down and knitting...wish I could join you. I'm sure you'll have enough yarn to finish, but if not maybe you could do a contrasting border...I've noticed Lori sometimes does that and it always looks lovely. Love Frodo...he is very handsome. I agree with Tanna about your last post too. I think the denim jacket will be so useful perfect for Autumn. I'm planning autumnal knits as we change seasons too. Our weekend was unpacking and washing a bit like yours. Sweet Frodo! What a handsome guy! You know, I *always* question whether I have enough yarn as I near the end of my projects - and I always do. :) I hope it's the same for you and this project - and I suspect it is! !